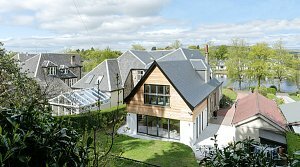 New 1.5 storey “passive solar” extension with kitchen / dining / lounge area on ground floor and cinema / play room on upper floor situated adjacent to Milngavie’s Tannoch Loch. 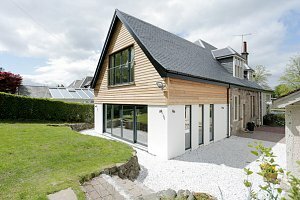 External finishes include slate roofing, untreated western red cedar cladding and white render. 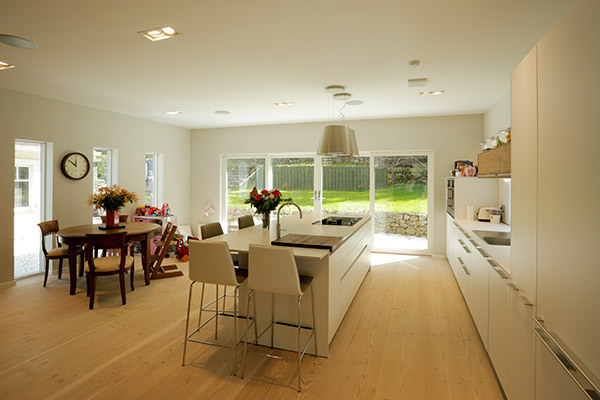 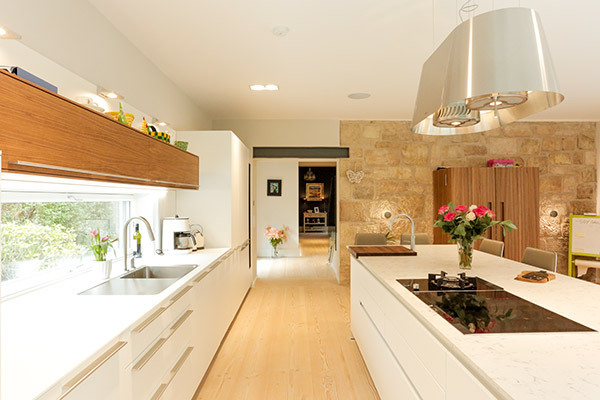 The extension features a mechanically ventilated heat recovery system which provides very high internal air quality while recycling 95% of the heat from the expelled air to the incoming, fresh air.